This is not a book about vegetarianism like the title Eating Animals might suggest. Nor am I are vegetarian or will I ever be; I enjoy eating meat too much to give it up all together. 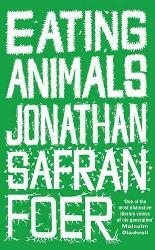 But this non fiction book by Jonathan Safran Foer sure left me thinking about my choices when buying and eating meat. In Eating Animals, he tells us about his three year investigation of what is REALLY going on in the meat industry. Safran Foer decided to investigate after his son was born; he wanted to make sure he was making the right choices for his kid. And after what he found out, he became a vegetarian. Says enough about the results, right? Safran Foer mixes facts with parts of his memoir focused on food, and is able to show us perfectly why he decided to stop eating meat all together. I respect his decision and I will definitely be more careful when buying meat. Eating Animals is what you call a ‘heavy’ read with a strong message, but definitely worth reading! The investigation is focused on the US meat industry, but without doubt the results apply to other countries as well. Safran Foer starts his story by explaining to us why he wanted to start his investigation in the first place. Food has always been important in his family. He already had some vegetarian experiences during college, but when his son was born he started to ask himself more and more why we do eat animals. We associate food with certain memories, and while he has some precious memories involving meat, he wanted to make sure including meat in the memories of his child would be the right thing. The meat industry isn’t the same as a hundred years ago. Before, animals were raised and cared for at family farms, and in general had a relatively good life at those farms. But with the population and the meat demand increasing over the years, things changed. The so-called factory farms were born, and animals were treated more and more like mere objects. Torture, genetical manipulation, cruelty…The chickens, pigs, cows and other animals of today in general don’t have a happy life at all. Deprived of all basic humane living standards, those poor creatures in general suffer ever single day of their short life at factory farms. And the situation at slaughterhouses is not much better. Unnecessary cruelty during slaughter is a thing so common that even family farms that don’t want their animals to suffer have a hard time finding ‘proper’ slaughterhouses. Animals at factory farms are injected with hormones and are genetically manipulated so they grow faster while eating less. Hormones we later ingest when we eat their meat… And that is only the start of possible health risks and consequences of the current meat industry. Eating Animals is without doubt an interesting read that really makes you think about where your food really comes from. 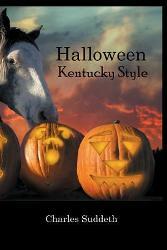 It is not a light read and people with a weak stomach might not enjoy it. Otherwise it is definitely recommendable to both vegetarians and those who enjoy their meat like me, but want to know how to make better choices when buying and eating animal products. I’m reading two non fiction novels at the moment with the first being Eating Animals by Jonathan Safran Foer, a non fiction novel slash memoir about what is really going on in the meat industry. It’s an interesting read so far with some very shocking details about how the animals really live and are slaughtered; not just a book about vegetarianism I suspected before starting it. 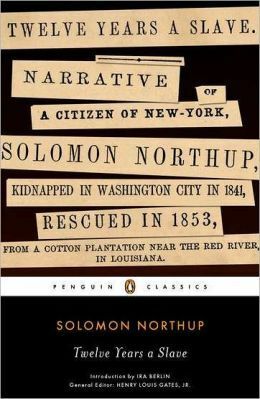 The second book I’ve started the other day is Twelve Years A Slave by Solomon Northup, a story about a free man who was forced into slavery during twelve years. Heavy material but definitely intriguing! 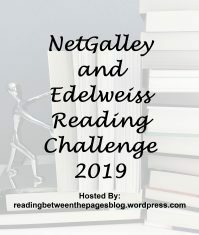 I will probably stick with a ‘light’ read after two non fiction novels, and try to fill one of the final squares for the Bookish Bingo challenge… So I guess something on that TBR list, although I’m not sure yet which title. 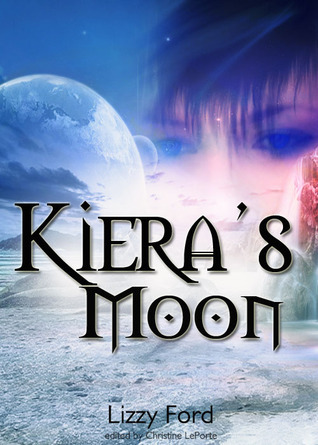 Maybe Kiera’s Moon by Lizzy Ford? 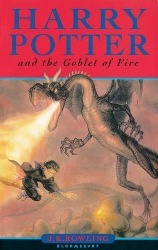 I’ve started Innocence by Dean Koontz the other day, and although I do like the story so far, I’m wondering if the ‘complicated’ prose Koontz uses in this novel is what I need right now… So I decided to finally reread the fourth book of the Harry Potter series first: The Goblet Of Fire. I’ve always loved this one and I’m really looking forward to read about the tournament again. I finished reading Interview With The Vampire by Anne Rice, and unfortunately I couldn’t appreciate the prose Rice used to tell her story. A full review will be up before the weekend, but what I can say for now is that the slow pace almost caused me to DNF this novel… Maybe a case of not-for-me? 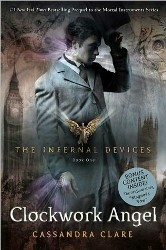 I’ve also finished Clockwork Angel by Cassandra Clare recently, which I did love. A full review has already been posted! I still have Eating Animals by Jonathan Safran Foer lined up to fill the Green Cover square of the Bookish Bingo challenge… But it could also be a complete different title depending on my mood. After reading the first few pages of Interview With The Vampire by Anne Rice I decided I wasn’t in the mood for it… So I picked up my copy of Clockwork Angel by Cassandra Clare first, a prequel triology to The Mortal Instruments series, first. Until now I’m enjoying Clockwork Angel, and I hope to finish this book later today. 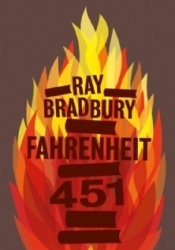 I’ve recently finished both the dystopian classic Fahrenheit 451 by Ray Bradbury and the ARC The Elect by Elle Todd that was sent to me by Ethereal Book Reviews. 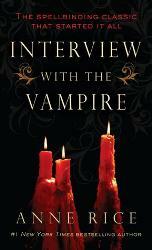 I highly enjoyed both books and have posted my reviews recently. Hopefully I will keep getting lucky with my reading choices! Again, I’m not sure yet what to read next. 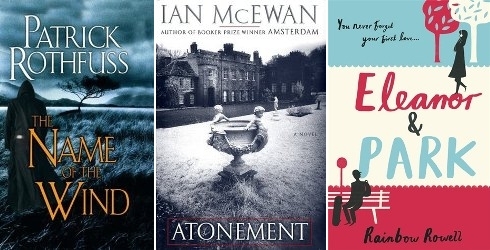 I do know it will be a book that I can fit in one of the empty squares in the Bookish Bingo challenge. 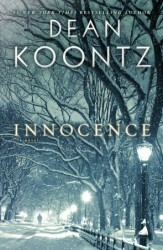 Maybe Eating Animals by Jonathan Safran Foer for the Green Cover square, or Innocence by Dean Koontz for the Snow On Cover square… Or a completely different title, who knows? James Dashner: I’ve read The Maze Runner, and even though I didn’t enjoy it as much as I would have thought before reading, I still want to read the first of the series. Plus, I already own a copy of book number two and three, so there is no holding back… Except for the fact that my copy of The Scorch Trials is in Spanish, and I prefer reading it in English as I explained above. Patrick Rothfuss: I’ve read and loved The Name Of The Wind, and now I want to get my hands on book number two as soon as possible… Although the wait for Rothfuss to finish the third book will probably become unbearable. 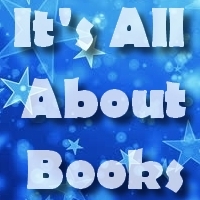 Rainbow Rowell: I’ve finally read Eleanor & Park not so long ago, and I really have to check out more of her work! Landline, Fangirl, Attachments… They all sound interesting. Lee Childs: I’ve read Killing Floor and even though it’s a bit too Rambo/Die Hard for me, I would like to see how the main character develops. Ismael Beah: I’ve read A Long Way Gone some time ago and it is really an impressive memoir… I would like to read Radiance Of Tomorrow as well. 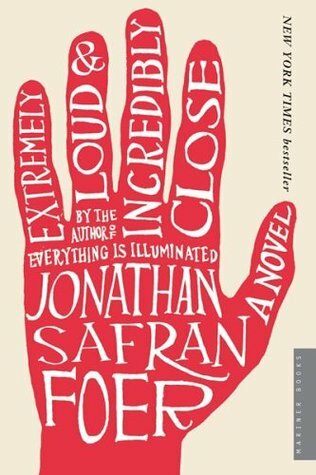 I finished Extremely Loud & Incredibly Close by Jonathan Safran Foer on Monday, and I loved the story about the quirky and curious boy called Oskar. Although the story is about grief and loss, the things that Oskar did or said were able to make me laugh at some points. Reading the story means entering the mind of a very special young boy, and it’s an interesting journey for sure. 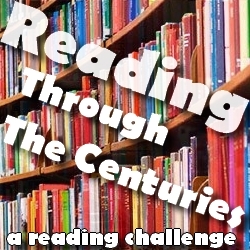 There are a lot of interesting books on my TBR list, and it’s too hard to choose. 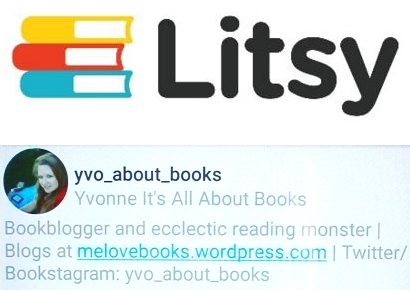 So I followed littleonionwrites example and made a TBR cup from which I will randomly draw a next book. I got The Boy In The Striped Pajamas by John Boyne. I remember seeing the movie a few years back, and since I’m always interested in WWII themed books, I will enjoy this story for sure. These are my answers; how about you? Various people have recommended Extremely Loud & Incredibly Close to me over the past few months, and I’m glad I finally decided to give it a go. Some may not appreciate the way Jonathan Safran Foer told this story of a young boy and a grandfather both trying to coope with a traumatic event and a terrible loss. But for me the way we see the world through the eyes of the curious boy slash inventor slash detective is endearing. And although you might think it’s hard to feel symphathy for the ‘speechless’ grandfather, I couldn’t help feeling sorry for him. A great read and definitely recommended if you don’t mind entering the mind of a confused but brilliant and curious kid. I’ll be reading more from Jonathan Safran Foer in the future for sure! Extremely Loud & Incredibly Close is also about man called Thomas Schnell, who we follow in Dresden and later in New York. A man who had lost the ones he loved during the bombings in Dresden in 1945, and from then on was afraid to love or be loved. And he became a man who was slowly losing his speech. Soon Thomas can only communicate with others through his written words, and fills books and books with words and feelings used in daily life. He is the man that would be the grandfather of Oskar, but also the man that would disappear before Oskar’s father would be born… And the man that has YES and NO tatooed on his left and right hand, even though life itself isn’t that simple. Extremely Loud & Incredibly Close is not the typical book, but it is without doubt worth reading. I myself loved the prose Safran Foer used to describe both Oskar and his grandfather, and Oskar’s search for more information about his father is endearing. Interesting read!